Monograms are an awesome way to add to your decor. A monogram is a template placed in front of a light to project an image. In other words?? YOUR name in LIGHTS!! 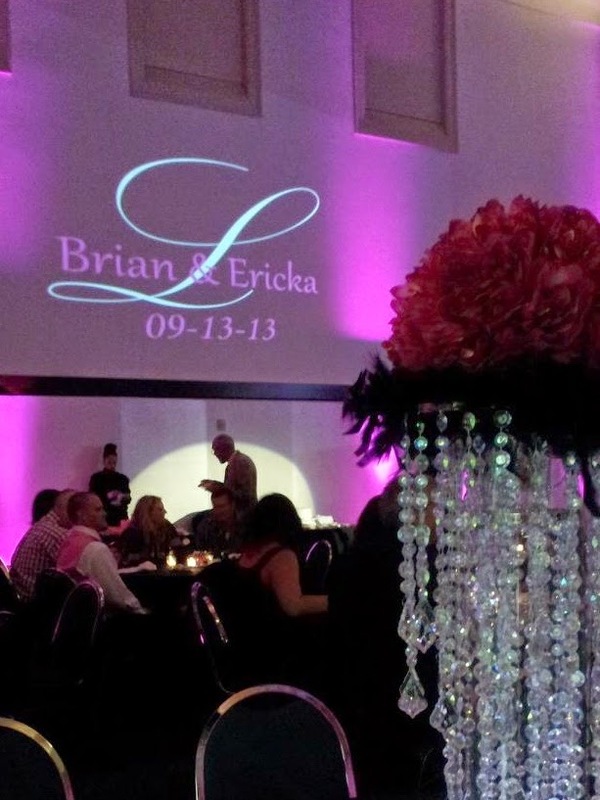 Our brides love monograms because they are completely customizable! This means brides are able to match napkin initials or even their invitation font to their monogram. We can also make our monograms whatever color needed and not to mention wherever you want! Walls, floor, tents, you name it! 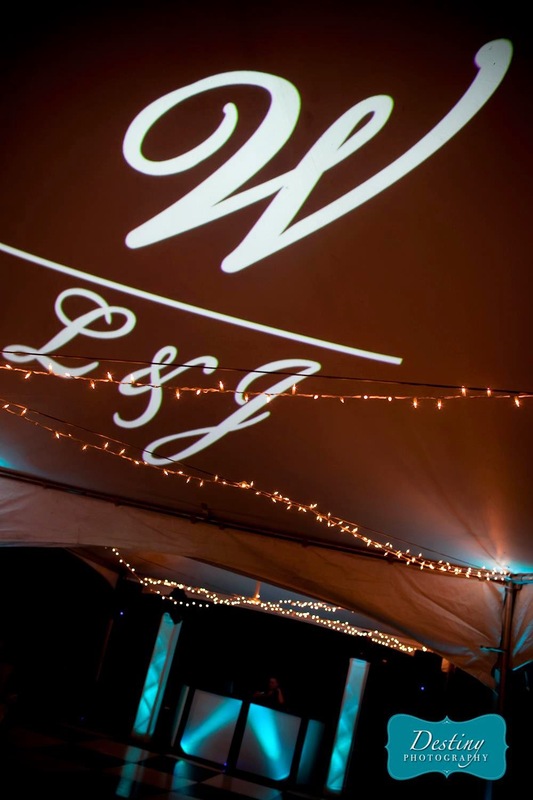 We often use monograms at weddings but, they are great for other events too! Here are a couple other ways to use monograms: at a class reunion display the year of graduation, at an anniversary party display the date you got married, at a company party display the company logo, etc. 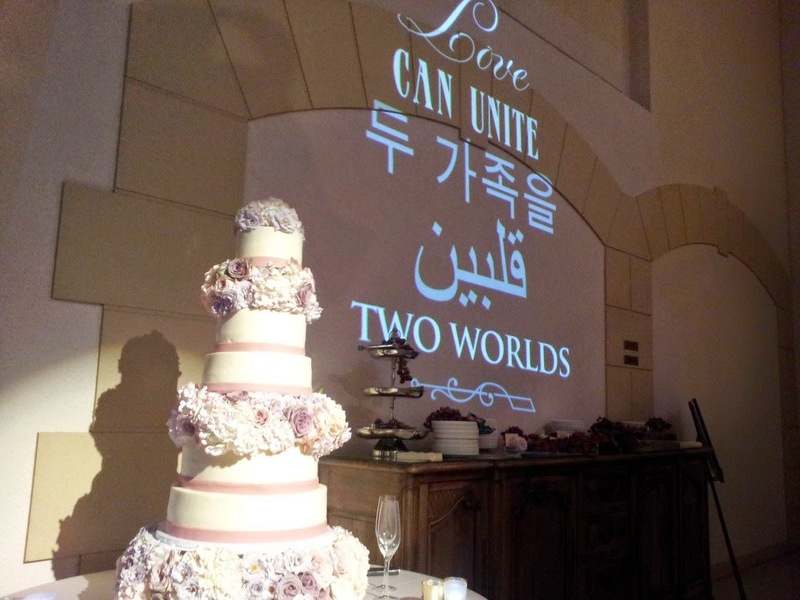 Be creative, guests love taking pictures with monograms so make it memorable!